Who Are The Nestorians And What Is Nestorianism? 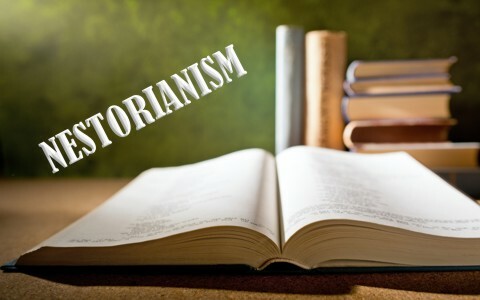 What is Nestorianism? Who are the Nestorians? What do we need to know about them? A Nestorian is a member of a “Christian” sect that originated in Syria and Asia Minor around 386 to 451. A Nestorian believes that since there were two natures in Christ, both the flesh and the Divine, or His divinity, there must be two people or persons loosely united in this union but under conflict. They didn’t see the unity in Christ’s fleshly body and His being God; rather they emphasized the disunity of His human and divine natures, as if one was opposed to the other. After Nestorian was condemned at the Council of Ephesus in 421,his followers relocated to the east, in what was called the Sasanian Empire, where their affiliation with other churches lead to a very “Nestorian” Church of the East, eventually becoming the Nestorian Church. When you begin to read the beliefs that the Nestorians hold to, you can immediately see something that’s wrong. To begin with, since they believe that Jesus humanity and divinity can never be considered, “one,” and was in a sense, fractured, so they taught “adoptionism” to make up for what they believed was disharmony. Adoptionism is where Christ had to be born into the flesh and only then could He be “adopted” as the Son, however, has He not always been the Son of God, His name which is said to abide forever? When has not the Father, been the Father, or the Holy Spirit ceased to be the Holy Spirit, Who is also God? The Prophet Isaiah long ago wrote, “For to us a child is born, to us a son is given” (Isaiah 9:6a), and the government of God was ordained thousands of years before Christ to be on His shoulders, (Isaiah 9:6b), but He had to be born in the flesh to live a sinless life, suffer, die, and be raised again on the third day. For this cause, His own life was worth the ransom of millions of lost souls (Mark 10:45). God wasn’t waiting for Jesus’ physical birth to finally be adopted into the family. Jesus and the Father have always been one, yet distinct (John 1:1-2). We have read that Nestorianism emphasizes the flesh part of Jesus Personhood, so naturally that means they deemphasize the Deity of Christ. We know He has always existed as God and that He is Creator of all things (John 1:3), so to emphasize His humanity over His divinity is to miss the point. Jesus lived in the flesh to become the perfect sacrifice, acceptable to God, but also to become a sympathetic High Priest, so “we do not have a high priest who is unable to sympathize with our weaknesses, but one who in every respect has been tempted as we are, yet without sin” (Heb 4:14) . It was “In the days of his flesh, Jesus offered up prayers and supplications, with loud cries and tears, to him who was able to save him from death, and he was heard because of his reverence” (Heb 5:7), so the Son of God, the God-Man, came to be born into the flesh to die for sinful flesh, not to be “adopted” by God after He was born of Mary. There’s a vast difference between saying “You are my Son, today I have begotten you” (Heb 5:5) and, “Today, I have adopted You.” Never once did God say to the angels, “You are my Son, today I have begotten you”? Or again, “I will be to him a father, and he shall be to me a son” (Heb 1:5). No adoption is necessary and there’s no tension between Jesus in His humanity and Jesus in His divinity. God sees no issue about this either, that I know of. We are not left to ourselves in the fight for the truth, because the Bible teaches us how we might discern heresy or doctrinal error. The Apostle Peter wrote that “false prophets also arose among the people, just as there will be false teachers among you, who will secretly bring in destructive heresies, even denying the Master who bought them, bringing upon themselves swift destruction” (2nd Pet 2:1). Since that was true in Peter’s day, how much more so is it today? What these false teachers will do is “exploit you with false words” (2nd Pet 2:3), and as Peter said, they “secretly” bring in their “destructive heresies,” so “do not believe every spirit, but test the spirits to see whether they are from God, for many false prophets have gone out into the world” (1st John 4:1). The Nestorians were declared heretics because they had “another” Jesus, so “if someone comes and proclaims another Jesus than the one we proclaimed, or if you receive a different spirit from the one you received, or if you accept a different gospel from the one you accepted, you put up with it readily enough” (2nd Cor 11:4). Any time you meet people who are caught up in a cult it can be difficult to know what to do. When it’s family or friends, it’s even harder, but what is a greater act of love; to sit and do nothing but let them live in the error of their ways, or try to reason with them from Scripture, but never argue, but at least try to help them see what the Bible teaches. If we don’t know which Bible verses might be helpful, then we need to study more and find out so we’re “always being prepared to make a defense to anyone who asks you for a reason for the hope that is in you; yet do it with gentleness and respect” (1st Pet 3:15). I would emphasize “gentleness and respect” because we no better than they are. It could be us who are caught up in a cult or doctrinal error. We are where we are, but by the grace of God. They too are made in the image of God and God desires to save them, and that none would perish apart from Jesus Christ (2nd Pet 3:9). More related reading here: What Are Signs of Being in a Cult? Here Jesus was humbling Himself by setting aside His divinity while all along being by nature divine so that He could, in human form, die on our behalf. That settles for me how God could die and how man could endure the weight of all men’s sin. What love is this!! What incredible depths the Lord descended to on our behalf. If that doesn’t break the Christian, nothing will. Thank you for the lesson Pastor Jack! Yes. Phil 2 says much about Him. Thanks brother. I appreciate your wisdom. Previous post: How Can You Start Your Own Ministry? Next post: Should Christians Judge Others Outside The Church?